ISP.net.au primary focus is the delivery of information and communication services. Our operations center is located in Alexandria, New South Wales. 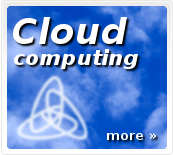 Application Service Providing: Our cluster of ubuntu Linux allows us to serve your data with resilence. 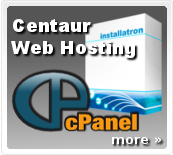 If you have a custom Application Hosting requirement just ask us for a competitive quote. Our mission: is to always provide economical access to information & technology using the latest standards. Our vision: is to increase productivity whilst reducing the overall cost of accessing technology. The standards and protocols we use include ODP/dMOZ, OpenLaszlo, AJAX, DHTML (inc XML, DOM, CSS 2-3.0). eCommerce Gateways: NAB, ANZ, CBA, St George and Westpac. Credit Cards: Visa, Mastercard, Bankcard, AMEX, Diners & JCB. Direct Debit facilities available. Voice over IP network integration and design. Use the Internet to save money on your telephone calls. Web, Email and DNS Hosting. Wholesale & Rebranded Facilities available.